Most people believe that roughly six million Jews were killed by National Socialist Germany during World War II in an event generally referred to as the Holocaust or the Shoah. But how long have we known about this six-million figure? 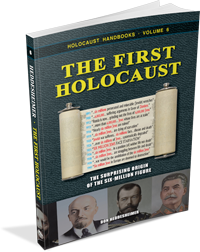 The most frequent answer is that the six-million figure was established after the Second World War during the International Military Tribunal at Nuremberg. 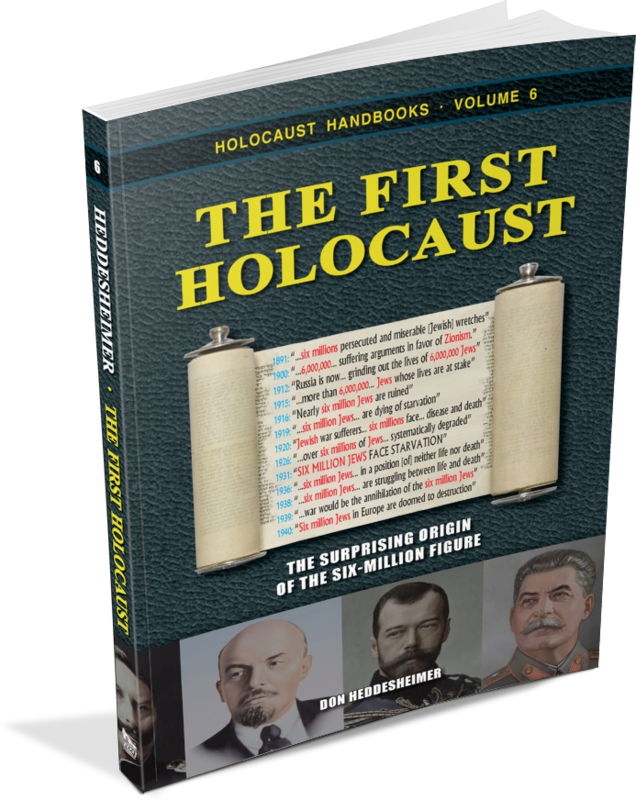 Third edition with a research update of 2015, also including a list of 276 sources referring to 6 million suffering, dying or dead Jews, and published between 1900 and the opening of the Nuremberg Trials in late 1945. 3rd corrected and expanded edition, 188 pages. Format: pb, 6"×9", 23 illustrations, bibliography, index.